Redmond says that the food justice movement is really about the narratives of people of color and beginning to understand that the stories that we tell ourselves in the food movement are as important as the stories that we’ve left out. 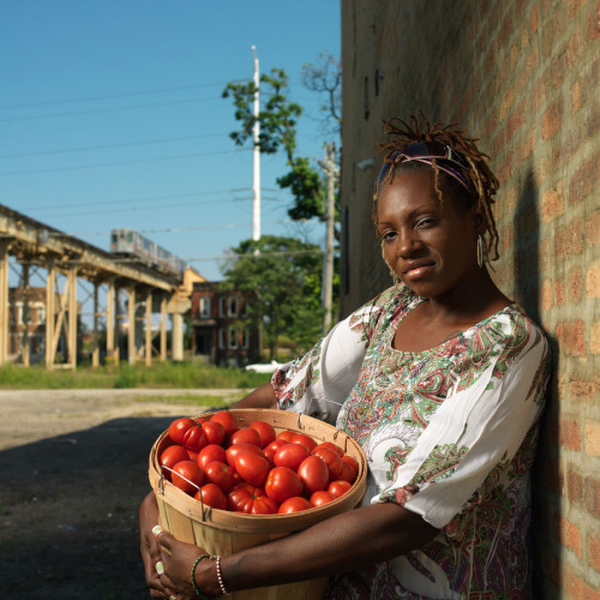 A long-time community activist, Redmond has successfully worked to get Chicago Public Schools to evaluate junk food, launched urban agriculture projects, started a community grocery store, and worked on federal farm policy to expand access to healthy food in low-income communities. In early April 2013, she launched the Campaign for Food Justice Now (CFJN), a membership-based organization that will use a race, class, and gender analysis to promote food and agricultural system reforms, and advocate for the adoption of right-to-food policies in the U.S.
– Attend Redmond’s presentation at Sherman Street Church — RSVP here or call (616) 206-3641. – Watch Redmond’s TEDx presentation on Food Justice. – Visit the Campaign for Food Justice Now’s website. – Visit Our Kitchen Table’s website to learn more about food justice. Ms. Redmond was helpful and wise, and I was very glad I went and listened to her. She knows it, she lives it, she wants to share it!